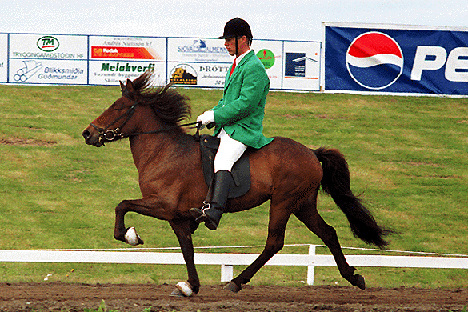 Promising stallion, son of Kjerúlf frá Kollaleiru (8.44) and Skreyting frá Kanastöðum (7.93). Kveldúlfur frá Heimahaga is a promising young stallion, he is bay and son of Kjerúlf frá Kollaleiru (8.44) and Skreyting frá Kanastöðum (7.93). 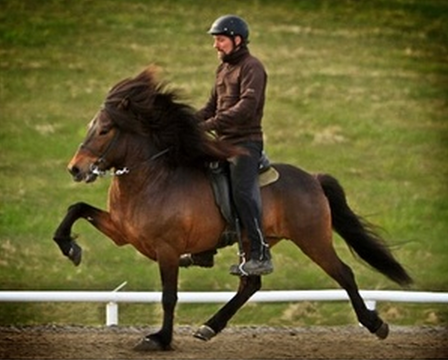 Skreyting frá Kanastöðum (7.93) is a four gaited mare with 7.76 for Conformation and 8.05 for Riding Abilities; 9 for tölt, 8.5 for trot, 8.5 for gallop, 9 for spirit, 8.5 general impression and 7.5 for walk. 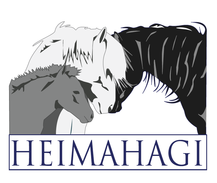 Total 7.93. Skreyting has also 8.5 for slow tölt and 8 for canter. 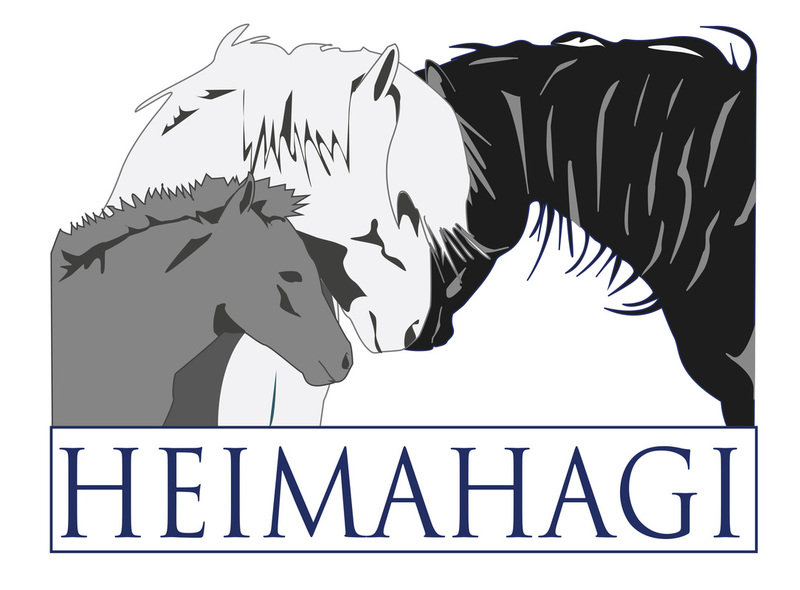 Skreyting is daughter of Arður frá Brautarholti (8.49) and the four gaited mare Lamba frá Lambleiksstöðum (8.04). 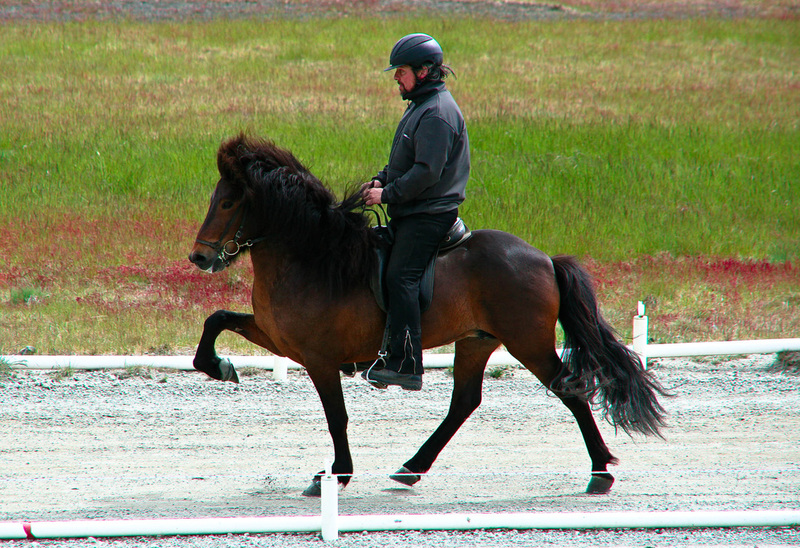 Arður has 8.34 for Conformation and 8.60 for Riding Abilities; 9 for tölt, 9 for trot, 8 for pace, 8.5 for gallop, 9 for spirit, 9 for general impression and 6 for walk. 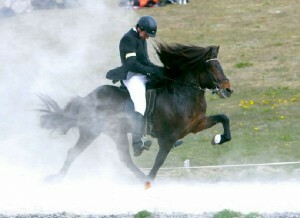 Total (8.49). 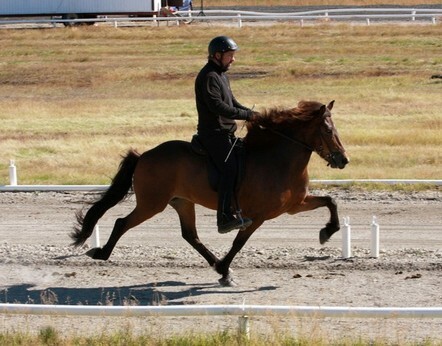 Arður has also 8 for slow tölt and 8 for canter. 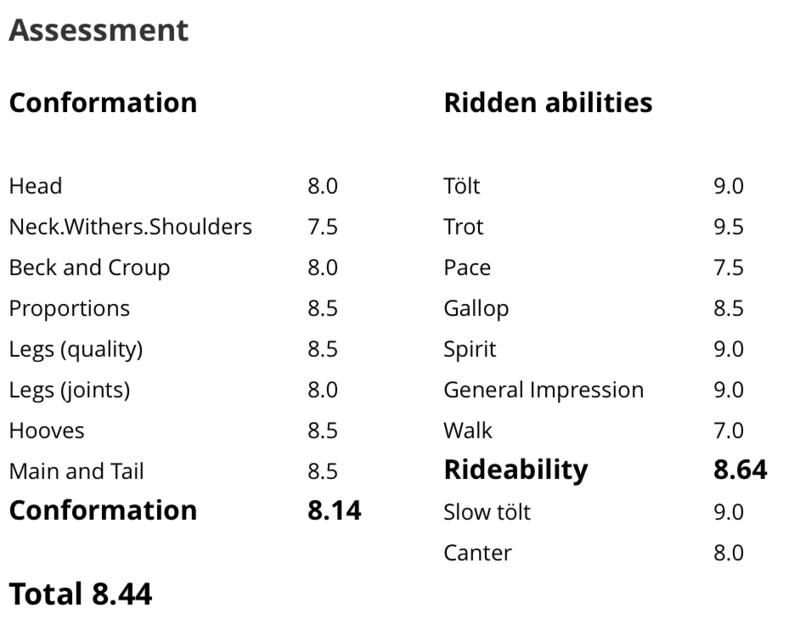 Lamba has 7.66 for Conformation and 8.41 for Riding Abilities; 8.5 for tölt, 8.5 for trot, 8 for pace, 8.5 for gallop, 9 for temperament, 8 for character and 8 for general impression. Total 8.04.